The same as a camera, your eye has a lens, automatic and exposure meter focus. The main parts of the eye are the iris, cornea, retina and lens. When it comes to nearsightedness, nearsighted glasses work by correcting the problem of the eyeball that is too long to focus on faraway objects projected on the retina. The glasses provide a concave lens that bends the rays outward, normalizing the eyeball. 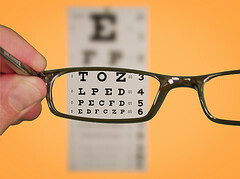 Understanding how nearsighted glasses work to correct vision will could help you. Eyeglasses lenses are curved glass pieces. The shape of the lens bends the right rays the moment they approach the eye. This aids the rays to focus on the retina instead of focusing it in front or behind it. Concave lenses are use for nearsighted people. If you are wearing eye glasses or contact lenses for your nearsighted condition, then you are in good company. Almost 160 million people in the US alone wear corrective lenses such as nearsighted glasses to improve their vision. From this statistic, it appears that perfect vision is rare. Understanding how nearsighted glasses work will make you appreciate it more. In addition to that, you will also have a better idea on how to care and maintain them.